How do you order Metformin 850 mg online? Have you ever considered ordering from Canada? YouDrugstore is an online Canadian pharmacy where you can order Metformin 850 mg for the same price they pay in Canada. All you have to do is register on our website and send us your prescription. After all of the necessary information has been received our experienced team of pharmacy technicians and licensed physicians will review your order. If you wish, ask your doctor to fax us your prescription directly to make the process even quicker. 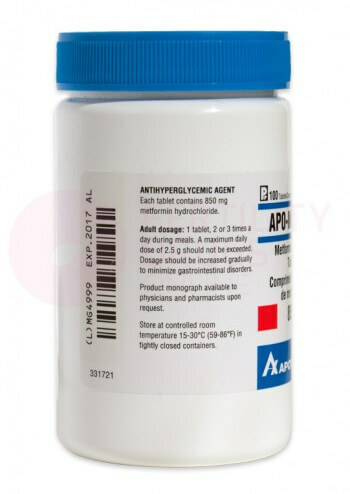 Metformin is the active ingredient in and generic version of Glucophage. Purchase Metformin 850 mg from YouDrugstore and enjoy our affordable shipping costs, including free shipping on any order over $100. Get Metformin 850 mg from YouDrugstore and treat type 2 diabetes. Who might receive a prescription for Metformin 850 mg from their doctor? Your doctor has prescribed Metformin 850 mg to treat type 2 diabetes. 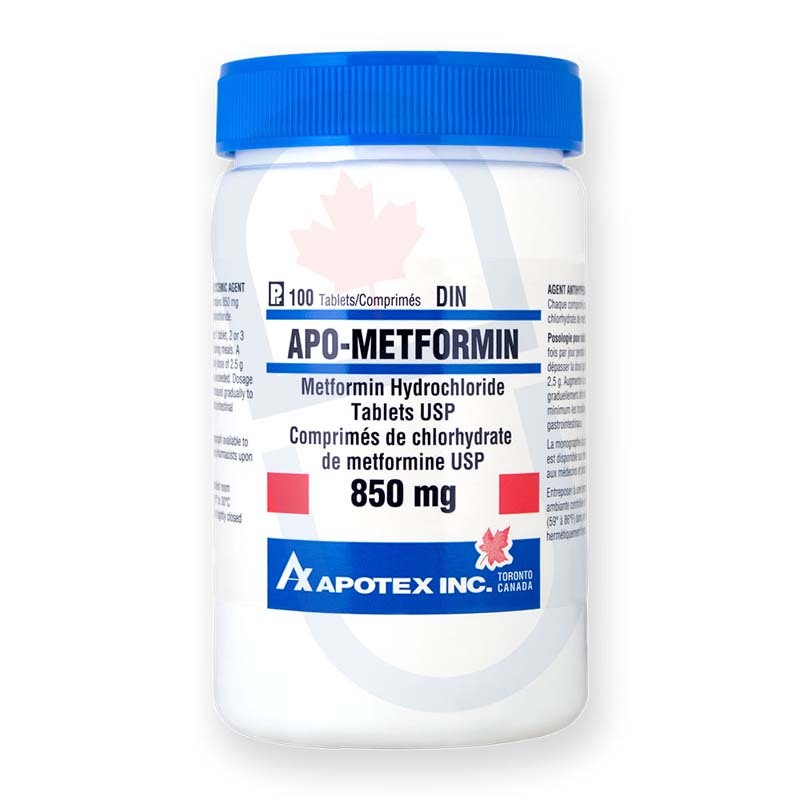 Metformin 850 mg is typically prescribed if your blood glucose level is significantly high and a change in diet and exercise is not effective in reducing it. Metformin 850 mg is not typically prescribed for those under 10 years of age. Speak to your doctor before taking Metformin 850 mg if you have had liver issues, kidney issues, heart issues, or if you are pregnant or breastfeeding. Do not take Metformin 850 mg if you are allergic to it or any of its ingredients. Speak to your doctor if you have any concerns about taking Metformin 850 mg.
What are the side effects of taking Metformin 850 mg? Every medication can cause potential side effects. When you take Metformin 850 mg you could potentially experience a change in taste, diarrhea, skin redness, nausea, vomiting, loss of appetite, or upset stomach. These side effects should not be anything to worry about, and they should stop shortly after you experience them if they occur. If they do not stop happening, or they become much worse, tell your doctor. Very rare but serious side effects include dizziness, unusual muscle pain, slow or irregular heart beat, trouble breathing, shivering, and a sensitivity to the cold. Speak to your doctor immediately if you experience any of these side effects. Any other unusual side effects you experience should also be reported to your doctor. When should you take Metformin 850 mg? 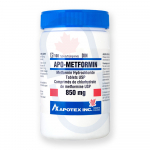 Metformin 850 mg is usually taken once or twice a day, depending on your condition and how much your body requires. That being said, your doctor may change your dosage to reflect what your body needs. Metformin 850 mg should be taken with food to reduce any stomach upset that may occur. Use a glass of water to swallow the tablet whole, do not break the tablet apart or chew it. If you forget to take a dose just take it as soon as you remember it unless it is nearly time for your next scheduled dose. If it is almost time for your next scheduled dose simply skip the dose you missed and carry on with your regular dosing schedule. Never try to double dose or make up for missed doses with Metformin 850 mg, it can cause your blood sugar levels to become dangerously low. If you are unsure about how to take Metformin 850 mg ask your doctor. Why is Metformin 850 mg prescribed to treat type 2 diabetes? Metformin is the generic version of Glucophage. It works in two ways. First, it works by telling your liver to stop producing as much glucose, in effect taking part of the role that insulin is supposed to play. Second, Metformin actually raises insulin sensitivity in your body, helping your body make better use of the insulin it does produce. The result is a much lower blood glucose level, returning your blood to a much safer, healthier blood glucose range. Another benefit to taking Metformin 850 mg is that many patients do not have to continuously check on their blood sugar levels when compared to those treating diabetes naturally or with insulin. Order Metformin 850 mg from YouDrugstore today. Where can I learn more about Metformin 850 mg?